GCSE students need to be able to work out the equation of a graph from what it looks like. If it’s a straight line graph you just need to look for two things. 1. The Intercept. 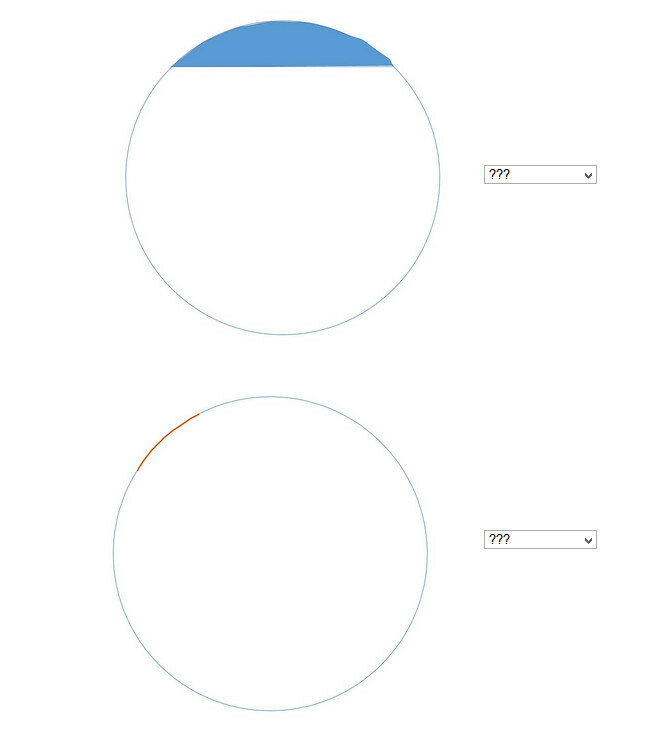 This is where the line crosses the y axis. 2. The gradient. This is the steepness of the line. If the line goes up from left to right it will be positive. If the line goes down from left to right it will be negative. The larger the number the steeper the line. 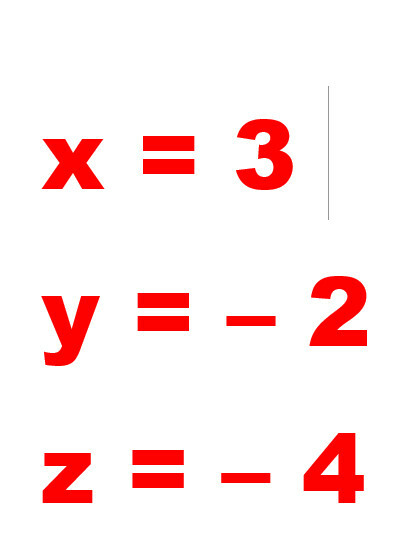 This example shows the line y=2x-4. The line goes up two units for each unit it goes across. The gradient is 2÷1=2. It crosses the y axis at -4, so the intercept is -4. Mathematicians use y=mx+c as the general formula for any straight line. 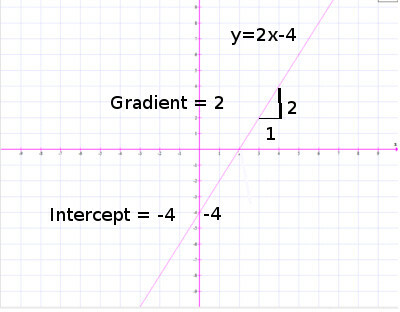 The gradient is m and the intercept is c.
Try this exercise to see if you can match the graphs with their equations. Try this exercise to see if you can match the equations with the correct gradient and intercept. Do you know all the important words for shape? 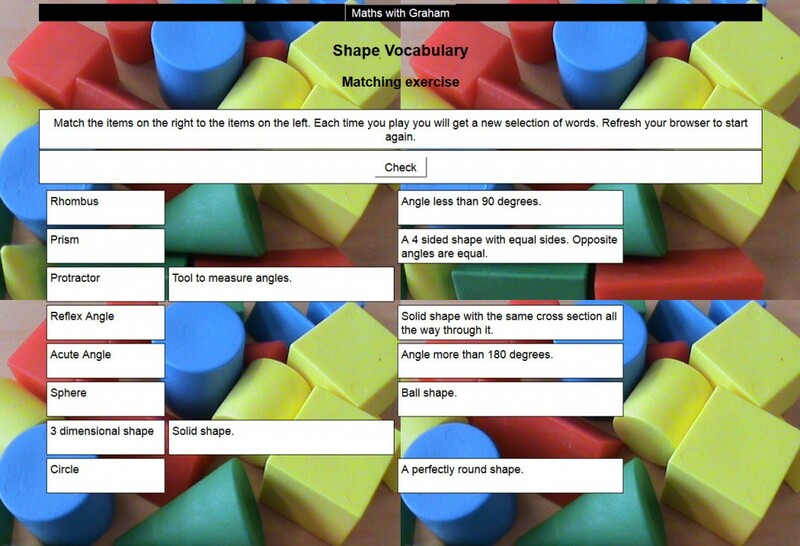 This is a simple matching game to help you. Each time you play you will get a different selection of words. 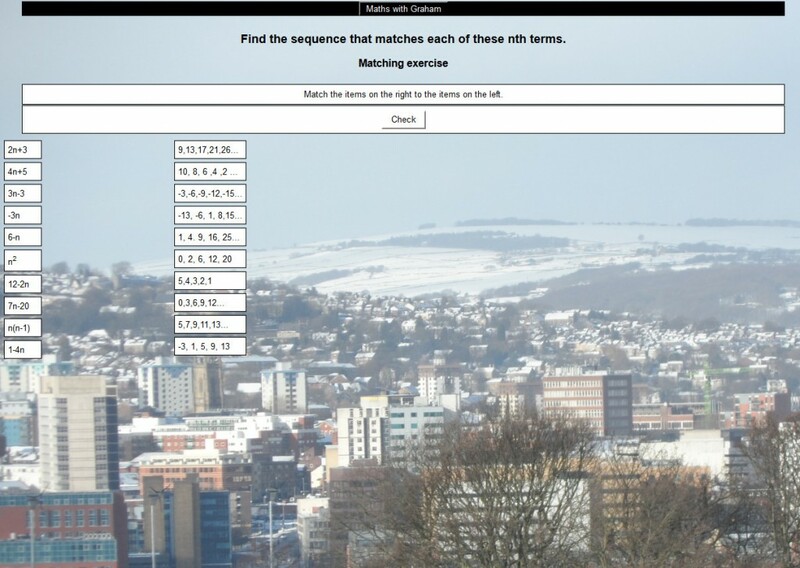 Can you match the following nth terms with their sequences? 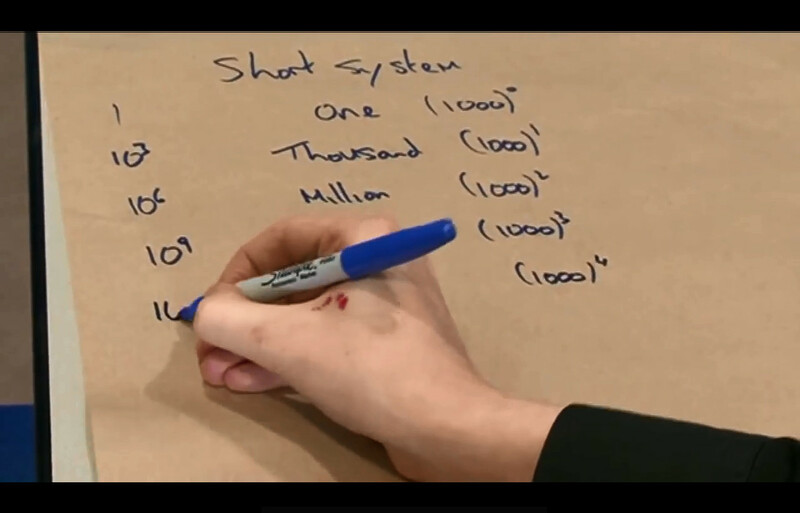 Each number in a sequence is called a “term”. In the sequence 3, 6, 9, 12, 15 the first term is 3 and the 5th term is 15. You could call this sequence “the three times table”. In algebra we describe it as 3n.In other words the first term is 3×1, the second term is 3×2 etc. 3n+ 4 describes the sequence 7, 10, 13, 16, 19… because the first term is 3×1+4=7, the second term is 3×2+4=10 and the third term is 3×3+4=13. Notice that because n is multiplied by 3 the sequence goes up in 3’s. Have a go at matching these nth terms with the right sequence. Great video from Numberphile that explains the controversy! 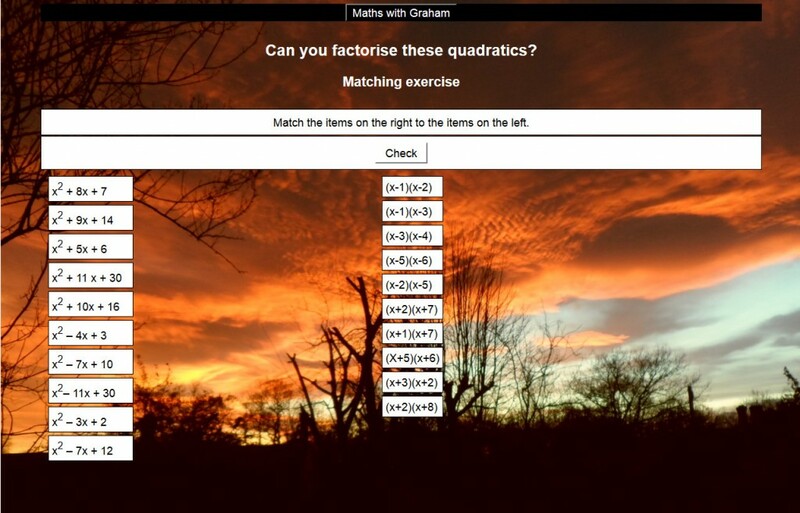 In the last exercise you learnt how to factorise quadratic expressions. We will now use this in order to solve simple quadratic equations. In other words, two numbers multiply together to make 0. This means one of those numbers must be 0! Remember quadratic equations will nearly always have 2 solutions. Try this- you will probably need pencil and paper to factorise the equations first. To do this look for a pair of numbers that add up to 9 and muliply together to make 20. If you can’t find the right pair, write down all the pairs of factors of 20. Now we can see the correct pair is 4 and 5. Check this by multiplying out the brackets. Lets try one involving negative numbers. Substitution in maths means swopping the letters for the right numbers so you can work out the value of an expression. Don’t forget that ab means a multiplied by b and c/d means c divided by d. Have a go at this interactive worksheet to get the idea. 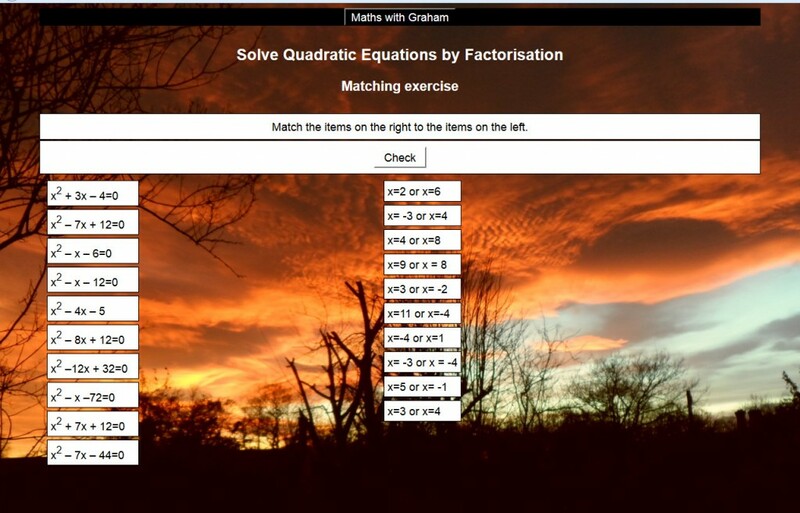 Try this interactive worksheet to teach yourself factorising. If you would rather use pen and paper there is a paper version here. Check your answers using the interactive version. If you are studying GCSE you need to learn the names of all the parts of a circle. This should help! I have just discovered the quiz site Sporcle. Here is a multiplication game to get us started! You have to be really quick at typing as well as arithmetic!